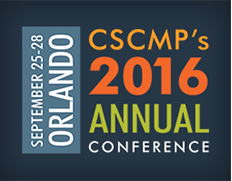 HICKORY, NC (September 26, 2016) – Transportation Insight, a global lead logistics and end-to-end supply chain solutions provider, is discussing its technology-driven multi-modal capabilities during the Council of Supply Chain Management Professionals’ Annual Conference in Orlando, FL, Sept. 25-28. The third-party logistics provider’s experts are detailing how Transportation Insight helps client partners enhance their supply chain visibility in ways that mitigate risk and create sustained enterprise growth. Transportation Insight partners with more than 1,200 clients to identify supply chain waste and implement improvements that effectively reduce opportunities for operational financial and strategic risks. As the CSCMP Annual Conference focuses on end-to-end supply chain solutions, Transportation Insight’s team is emphasizing how shippers can find better alignment across their supply chain and reduce barriers in their omni-channel shipping strategy to better serve their end customers. In an environment where supply chain disruptions can jeopardize the sustainability of shippers, many companies are seeking strategic partners that can fulfill traditional expectations like freight optimization, as well as deliver a technology platform that produces actionable business intelligence that fuels enterprise improvement. Transportation Insight is at Booth 306 during CSCMP’s Annual Conference ongoing through Wednesday at Gaylord Palms Resort and Convention Center in Kissimmee, FL. Transportation Insight is a multi-modal, global lead logistics provider with more than $4.6 billion in supply chain spend under management. For more than 15 years, the 3PL has partnered with hundreds of manufacturers, distributors and retailers to achieve significant cost savings, reduce cycle times and improve customer satisfaction rates by providing customized supply chain solutions. Transportation Insight offers a Co-managed Logistics® form of 3PL, carrier sourcing, freight bill audit and payment services, state-of-the-art transportation management system (TMS) applications and business intelligence. Services include domestic transportation, parcel shipping solutions, supply chain analytics, international transportation, warehouse sourcing, LEAN consulting and supply chain sourcing of indirect materials. Headquartered in Hickory, NC, Transportation Insight has secondary operating centers in Atlanta, GA, Bentonville, AR, Boston, MA, Charlotte, NC, Omaha, NE and Salt Lake City, UT, as well as more than 50 client support offices across North America. For more about Transportation Insight, visit https://www.transportationinsight.com, email info@transportationinsight.com or call 877-226-9950.